Must admit when I first saw the Constellation/Ares I,V plan I was underwhelmed. But to Her ready to go, I take it all back. Roll on Ares V, Mars or bust! Incredible pics. These are amazing days. Alright! Now lets point that baby at Mars, load up Ray Bradbury and go visit Spirit and Opportunity! I am so proud of my space program, and the men and women who work day and night to ensure success. Getting our money’s worth out of that building, for the moment. Makes you want to build a bigger vehicle & get it all the way to the skylights. Makes you wonder if matching the height of a Saturn V was a design goal in itself, just to inspire the current generation. 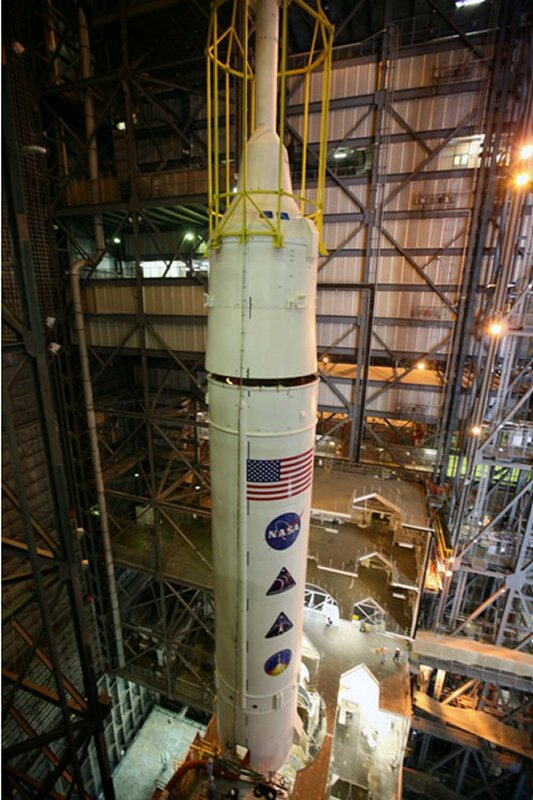 It is an impressive sight and we are planning to be present for the Ares I-X launch in late October. Congratulations to the entire Ares I-X team! Keep the dream alive and great work! So… the pogo stick finally got stacked. Heh, but will it FLY? Wait until 10-31 to see… that’s if NASA still has the money to light the candle. Maybe the WON’s administration will pull the funding so that it can bail out some other public big corporation. It’s certainly very beautiful. I hope everything goes well with the launch in October. Youre moved it all across the continent and placed it in one stack. But now I am anxious to FINALY see that thing fly! But when? Johan. Has a time been set for the October 31st firing yet? I am supposed to set sail that day from Port Canaveral between 1pm and 5pm and it would be something to see from the top of the ship. WHat a cool thang!!! !The Cape hasn’t seen a launch like it since the Saturn V blasted Apollo and Skylab into space in the late sixties and seventies. If the Ares 1-X does fly, it will sadly be the one and only flight. Obama is getting ready to pull the plug on America’s Space Program. We need the paltry funds that NASA gets for better things. Executive bonuses, bailouts and other give aways. Very sad indeed. 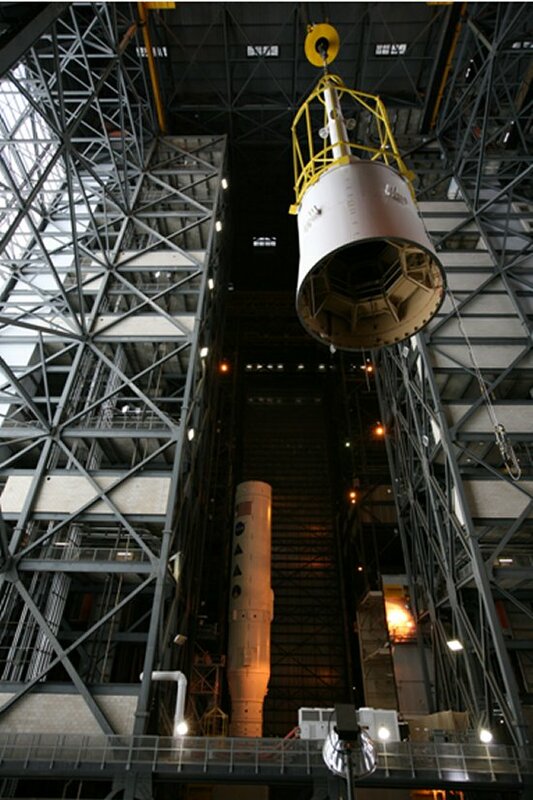 These “modal tests” remind me of the first Saturn V test vehicle 500F assembled in May 1966. 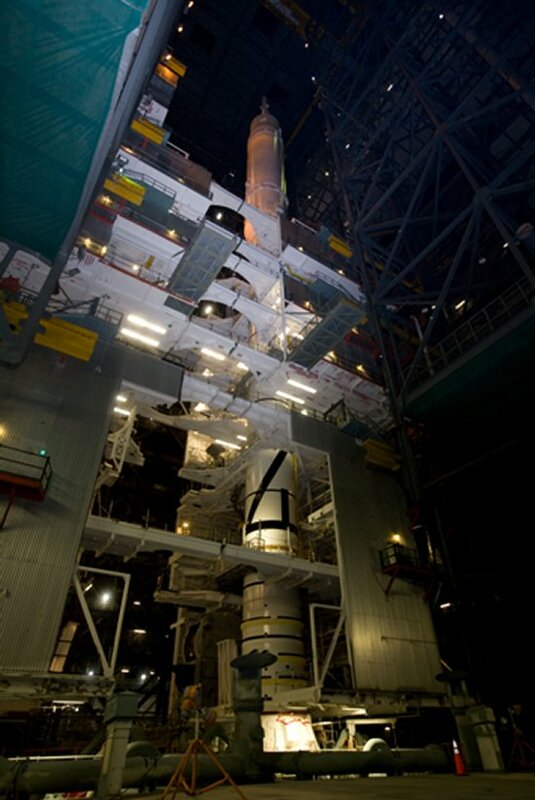 I wonder if someone plans to do a “human sway test” on the Ares 1-X while it is still in the VAB like they did on that Saturn V test vehicle, where they use ropes and pure foot power to sway it back and forth. There is a short video about that test on the web, but I cannot find it. If this “test” is done on the Ares 1-x, please post the new video! This is an exciting day with the test firing of the new Ares main engine just hours away!! I can’t wait to witness the results and eagerly look forward to the first test flight of the Ares 1-X this October!!! This is certainly a magnificent piece of technology – the scale of it is amazing. I read on the BBC news website that it was due to undergo a static thruster test at 13.00 hours BST today. Is this the case? I was wondering if there would be clips available or if indeed it happened at all. Well done NASA. It’s a beautiful machine. can only be contemplated on spiritual terms.Good work NASA! It’s a happy day, finally it is completed, let’s do all the required pre-launch test before the October 31 test launch.. I wish Nasa and the Constellation Team, a hardy congratulations !!! The Human Race is back in the game. We’ve got a chance with Constellation. Godspeed and full funding. 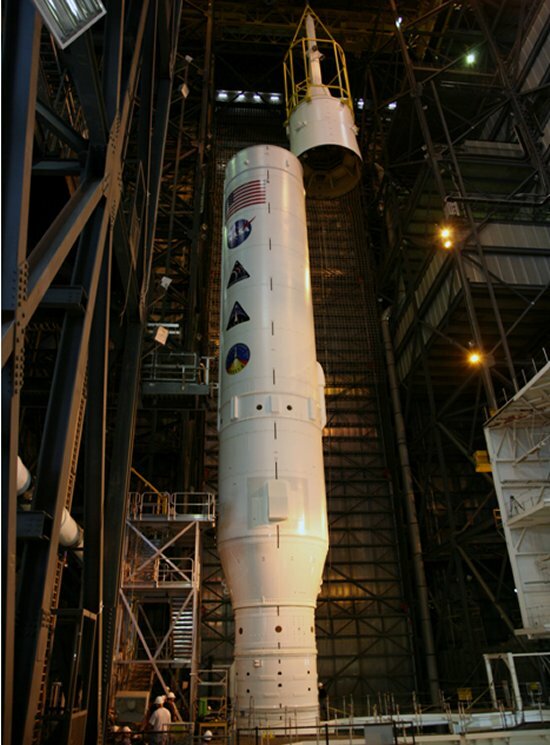 Can we get some news about the aborted August 27, 2009 engine test of the ARES 1-X specifically regarding, what happened, and when the next test date is expected to take place? It would be nice if the website was updated more frequently. I just happened on to NASA TV where they were performing the Human Sway test. I believe Modal test is complete. NASA shouldn’t be trying to recreate the Apollo program. They should be buying commercial tickets to LEO and back, instead of building just another rocket out of old parts. Put the money into the new technology, and buy a ride to LEO. Heck, buy all the propellant in LEO too. 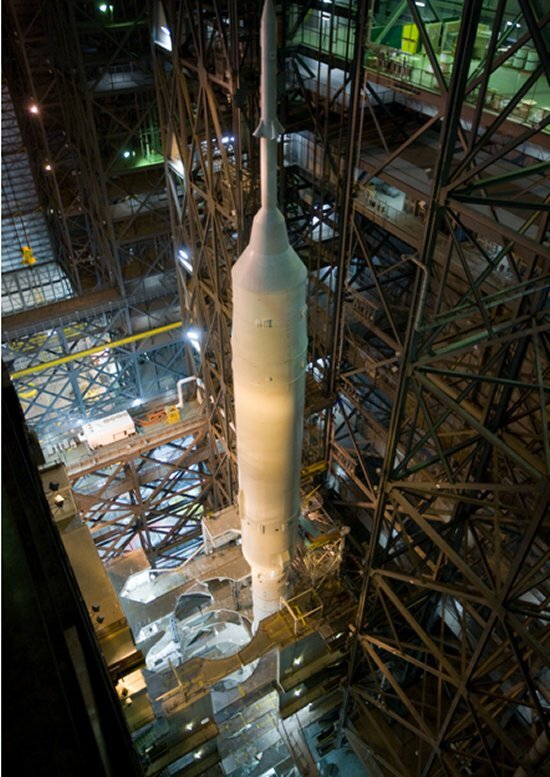 I don’t need to see a remake of an Apollo Capsule, Saturn I, Saturn V…. Very cool, can’t wait to see it take off! Its a shame to hear that NASA is getting its funding cut though. I’m a big NASA supporter and I love rocket science, but I remain disappointed in humanities,(and NASA’s), slow progress in space travel. We spend enough in classified military black programs to have had bases on Mars twenty years ago, with. Our choices seem to be skewed toward military hardware optimized for massive destructive power in lieu of a great Space program that would serve all mankind. Of course I still support NASA, lets just hope that future programs will be a little more civilian friendly and adventuresome, with an eye towards our certain space faring future, we are delaying humanities most exciting phase.